Gracefully curved legs give the impression that this table is ready to take a stroll. 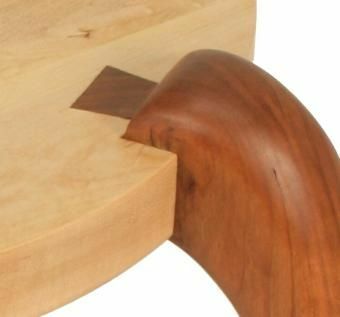 Exposed dovetail joinery attach cherry legs to a solid maple top. 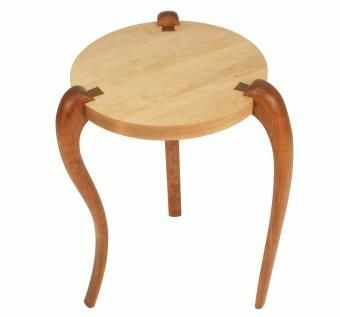 Shown here as an occasional table, Walking Table's dimensions can be modified for an end table, sofa table or hall table. Signature and date hand-carved by the artist. Dimensions: 30" H x approx. 30" dia.